Live Your Poem...: ARTSPEAK! 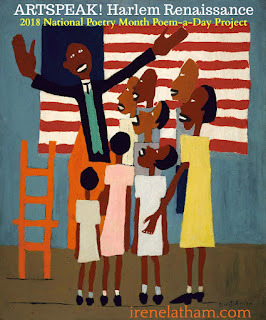 Harlem Renaissance poem "To a Water Boy"
ARTSPEAK! Harlem Renaissance poem "To a Water Boy"
Before we get to today's poem, please be sure and visit Robyn at Life on the Deckle Edge to see how our Progressive Poem is progressing! 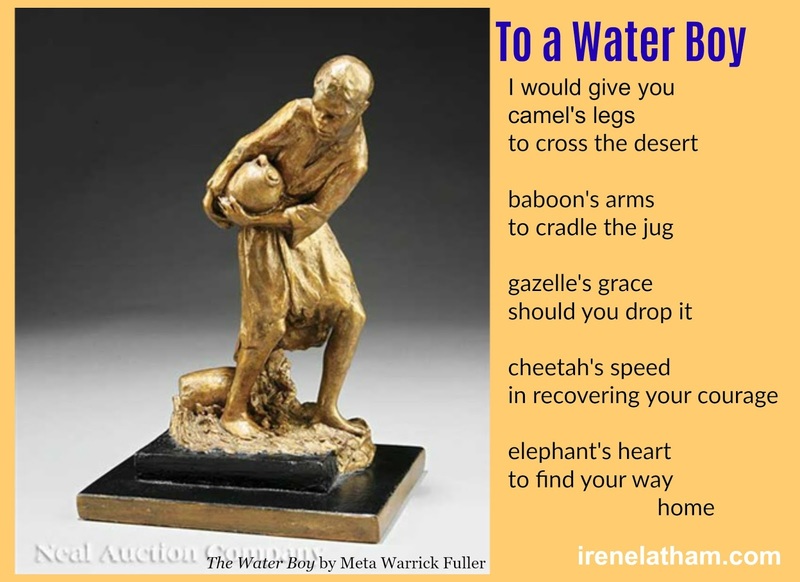 Today I'm continuing my Harlem Renaissance poetry project with a look at sculptor Meta Warrick Fuller. Today is our last day with Fuller... tomorrow I'll be introducing William Johnson! Today's piece is called The Water Boy. This boy sure is struggling with his load... I started thinking about my wishes for him, how I'd like to help ease his journey. This is where I landed.